The Chimp Paradox is a great book if you are interested in self-development, psychology and generally not being a bellend. It can also be applied to sports and fitness- psychology and motivation. 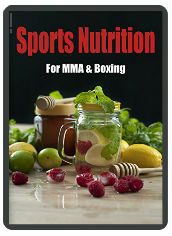 This can be very helpful and practical information for those people looking to lose weight, get fit or train for a fight. Some are target goals. Others are process goals. Always work on 1 or 2 target goals at a time. What are your 2 Target/Outcome Goals? What are your 3 process goals? / How will you achieve the outcome goals? When you reach a goal, look back. Celebrate how much you have gone so far. Monitor the success with a chart or some visible signs of showing your progress. significant – what will greatly influence the results of the job or job itself. e.g. a friend to help and advice from an expert. desirable – may or may not help, but definitely makes things more comfortable. A personal coach or trainer for the first few weeks. What difficulties might you encounter? Don’t let any likely-difficulties stop your progress. Anticipate them and have a strategy for dealing with them. Obstacles that you can get around of. Solution – don’t shop when hungry. Make a shopping list to stick to. Make a list of foods not to buy. e.g. pitfall – buying unhealthy food or keeping unhealthy food in the house. Do you think you have everything you need to succeed? If not, what else do you require? If so, what is it that you like about the diet and exercise programme you have been given? If not, what are you concerned about? Are you convinced that this plan is worth your while? – Is getting in shape worth the effort and commitment? This is your programme. Not your trainer’s programme. You must take ownership of the programme and be happy with it. Is there anything you would like to know more about, or anything you would change before taking ownership? Be motivated by, and see an opportunity to succeed and become healthy; rather than being motivated by the fear of failure and shame. See the carrot of health and happiness, not the stick of shame and guilt. This includes Goal Setting and Motivational Questions to ask your clients/yourself. Take pictures of all the meals you eat & Upload to a specific Instagram or Twitter account. You should also keep a diary of what food you eat, and you should consider writing down an estimate of the weight and calories in every meal. “What is measured, is controlled”. I would personally just do the Instagram photo thing though. More information, directly from the Chimp Paradox book below. The “chimp” refers to the chimp-brain. The part of the brain that we share with chimps, and that is built for survival in the wild, not for a modern society were violence is illegal. In order to reach your goals, think about ‘The Core Moon’. Chimp is motivation-driven, not commitment-driven. Commitment comes from Human. The chimp will act on emotions, and be impulsive. For example, the chimp may decide he/she wants to get fit. But it is the human-brain which ultimately needs to organise and commit to a plan of action. For success to occur, it is commitment not motivation that matters. what do I need to do the job? What solutions do I have ready for any difficulty? significant – what will greatly influence the results of the job or job itself. e.g. a friend to help and advice from an expert. desirable – may or may not help, but definitely makes things more comfortable. A personal coach or trainer for the first few weeks. Write out all your needs and write down the solutions/requirements for each of them to start your plan of action. barriers – obstacles that you can get around of. For example shopping when hungry. pitfalls – if you do not watch out for these, it will hurt you. For example buying unhealthy food or keeping unhealthy food in the house. List all the hurdles, barriers, and pitfalls. Make a plan to overcome them. Anyone can be organized by making a plan. Only the disciplined person can stick to a plan and make it work. Having ownership excites the Human and the Chimp. Making a plan and having ownership of the plan ==> being organized. Remember this throughout your weight-loss endeavour. Taking responsibility and accountability for executing plan ==> being disciplined. Personal excellence means doing your best. Civilised society replaces sticks with carrots. See the weight-loss plan as an opportunity, rather than a problem. Be motivated by an opportunity, not a fear of failure. Some are target goals. Others are maintenance goals. Maintenance goals are goals where you only need to maintain the standards of your outcomes. Display visible reminders and encouragers such as posters or notes to keep you on track. Get a friend to share your journey with. Looking at the progress so far. Are you on track? What is working? What isn’t? Don’t blame others. Look to yourself first and take ownership. Success can lead to 3 feelings: complacency, fear of losing success, emotional depressed because the success did not turn out to be as wonderful as first thought. It is normal to have a dive in emotions after success. The chimp sees things black and white like a child. Consider that you may have partial success as an outcome rather than success and failures only. Failures can be an opportunity to sharpen your skills and problem solving capability. Chimps tend to see this as a catastrophe. Anything in life is only as important as you want it to be.